Cheap last minute flights to Mexico: Cancun for €379! 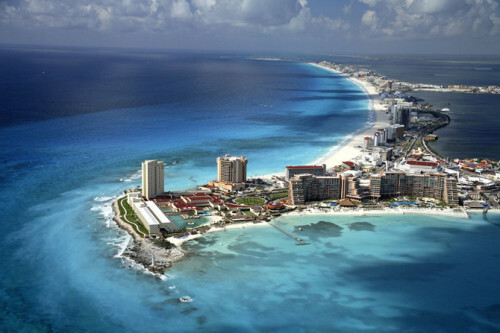 UPDATE 23.1.: last minute flights from Frankfurt or Munich to Cancun again available for only €381! Fixed dates: 25.1.-8.2., book here, check screenshot. UPDATE 5.12.: last minute flights from Frankfurt to Cancun still available for €379! Dates 7.-19.12., book now! If you are flexible with dates for last minute vacation you can now buy pretty cheap tickets to Mexico. Return flights from Frankfurt to Cancun are available for only €379! These charter flights are operated by Air Europe with one stopover in Madrid. Cancun has currently temperatures around 27 degrees. Book fast through LTUR before it’s gone! « MEGA HIT! Super cheap flights to Philippines: Manila from Milan or Prague from €265!